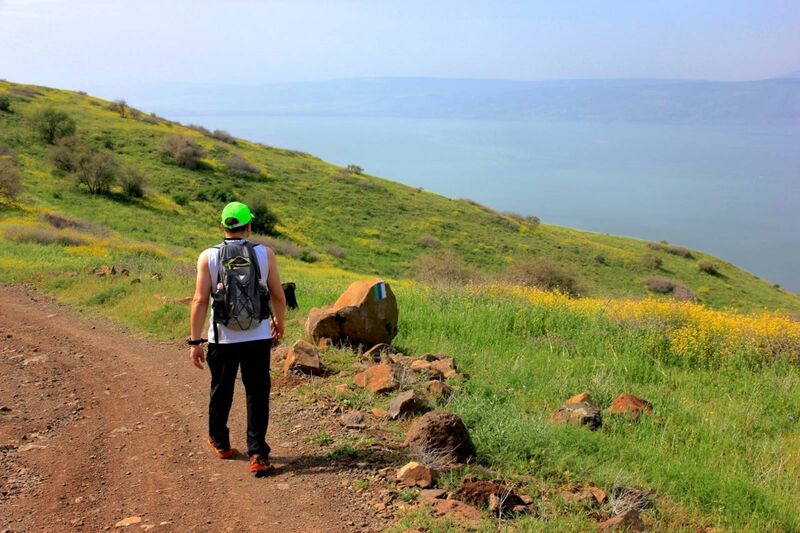 The well-known Israel Trail meanders 620 miles from northern Dan to southern Eilat, but it skirts the Golan Heights – and that is why Israel Eshed, then director of the Golan Tourism Association, began a one-man campaign in December 2006 to establish a Golan Trail. The 120-kilometer (74.5-mile) trail opened six months later in June 2007, and now attracts up to 40,000 hikers, cyclists and horseback riders every year. “The main incentive to build it was the fact that the Israel Trail does not go through this area, and in my opinion, the Golan is one of the most beautiful areas in Israel,” Eshed says. 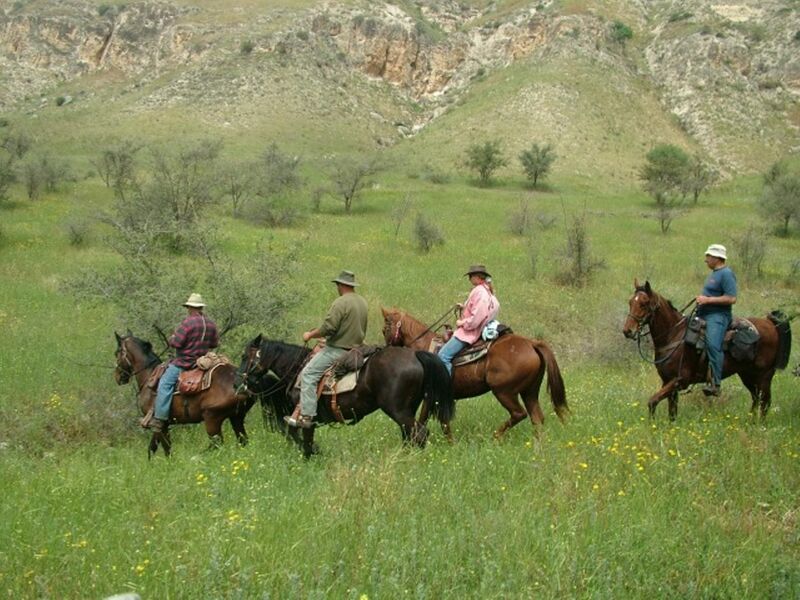 Eshed’s plans materialized with support from the Society for the Protection of Nature in Israel and the Israel Defense Forces, which assures the safety of the route and uses it to acquaint soldiers with the Golan Heights. 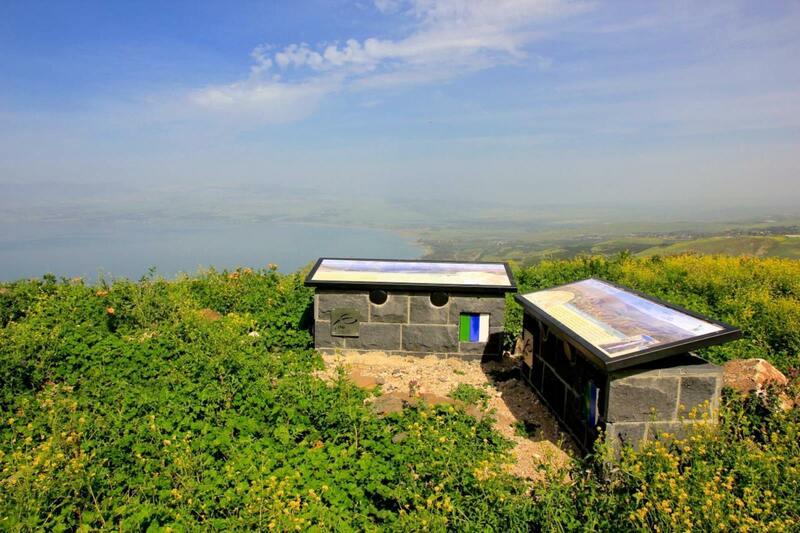 Campsites, drinking-water stations and information stands in Hebrew and English have been added along the entire way from the summit of Mount Hermon near the Druze village of Majdal Shams down to Hamat Gader hot springs near the Sea of Galilee (Lake Kinneret). The marked route takes between five and eight days to complete and is divided into 15 sections (not wheelchair-accessible) of average difficulty. 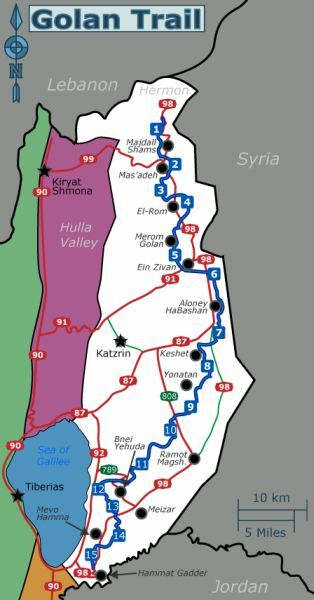 There are connections with the Israel Trail at its northern and southern tips. The trail has proved a boon for local tourism, says Eshed, who is now translating his trail guidebook into English. 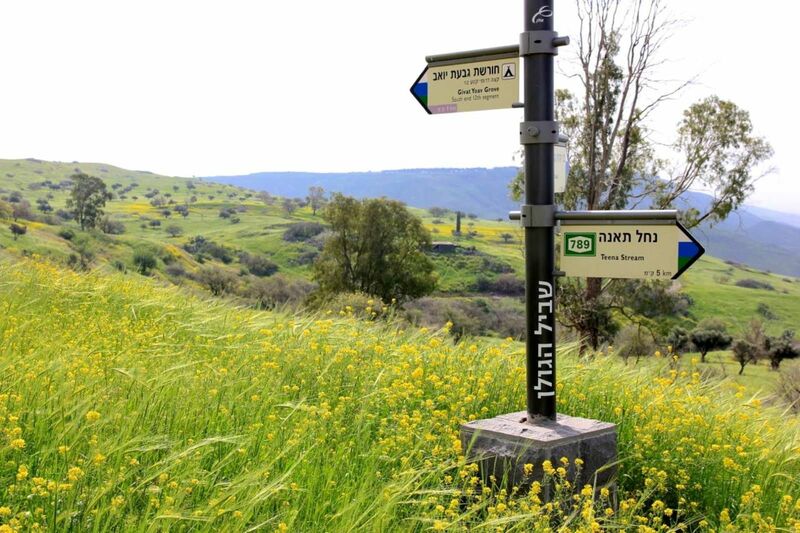 From private campgrounds and hostels to convenience stores and B&B accommodations at kibbutzim and moshavim (collective communities) along the way, Golan Heights residents are benefiting from the influx of hikers. Some of the trail goes through nature reserves, where free basic campsites are available as well. 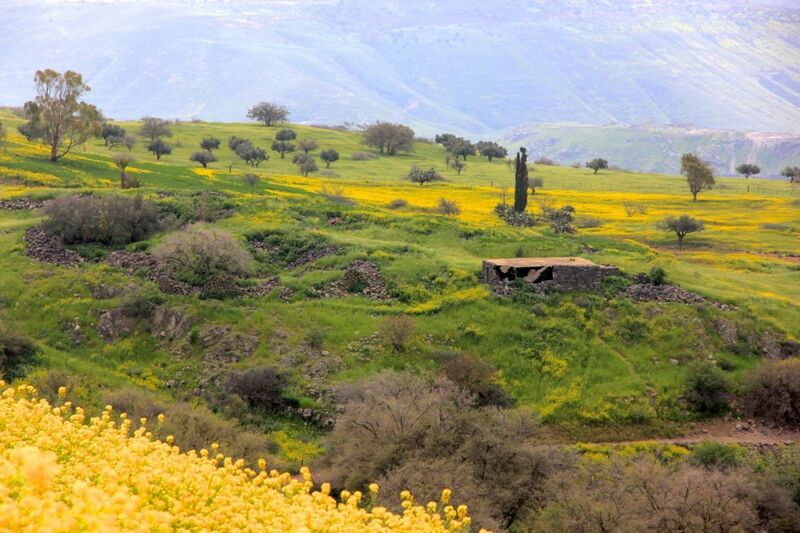 Having traversed the trail countless times, Eshed can’t point to a particular favorite spot, though he especially recommends the lookouts over the Gamla Nature Reserve and Nimrod Fortress National Park. These two points are among many rich in history along the trail. The ancient Jewish settlement of Gamla, built on a strategic hilltop shaped like a camel’s hump (camel is gamal in Hebrew) was besieged by Rome during the first century AD and has become a symbol of heroism for modern Israelis. Remains of one of the oldest synagogues are found in the reserve, which also has a large population of Griffon vultures. The Nimrod Fortress is a castle built in by 13th century Muslims on the southern slopes of Mount Hermon. 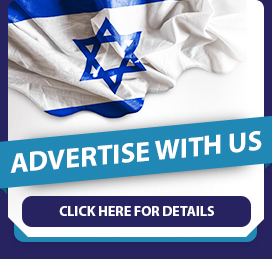 Today the site is administered by the Israel Nature and Parks Authority.